Something awesomeabout this though, is that it feels special. Somehow, it almost feels like you were involved, and because there was no one else there, you own it just that little bit more. It was a great comeback fuelled by a great player. Watching the game, I think I finally realised that Fittler was a truly excellent Rugby League player. There was no one else who could turn that game around and command his team like Fittler did. No, not even Laurie Daley. 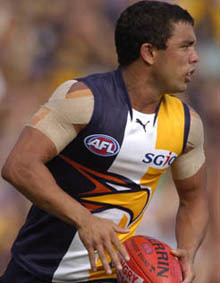 4: Michael Bevan – Asia vs Rest of the World, 8 April, 2000Another sporting event from 2000 – what a year for sports! Bevan hit it for four and ROW lost by 1 run. An amazing result, and an amazing innings. I watched it with two mates and we could not believe what we were seeing. 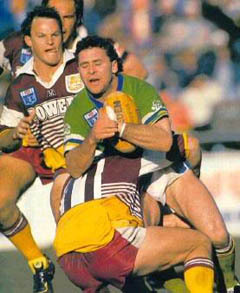 5: Canberra vs Brisbane, round 19, 1993 – Friday, August 6One of the earliest games of Rugby League I remember watching. A cold Friday night in Canberra between the two best teams in the competition. 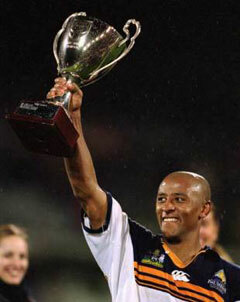 Sadly, nobody remembers this now, but for that night – greatness had returned to Canberra.